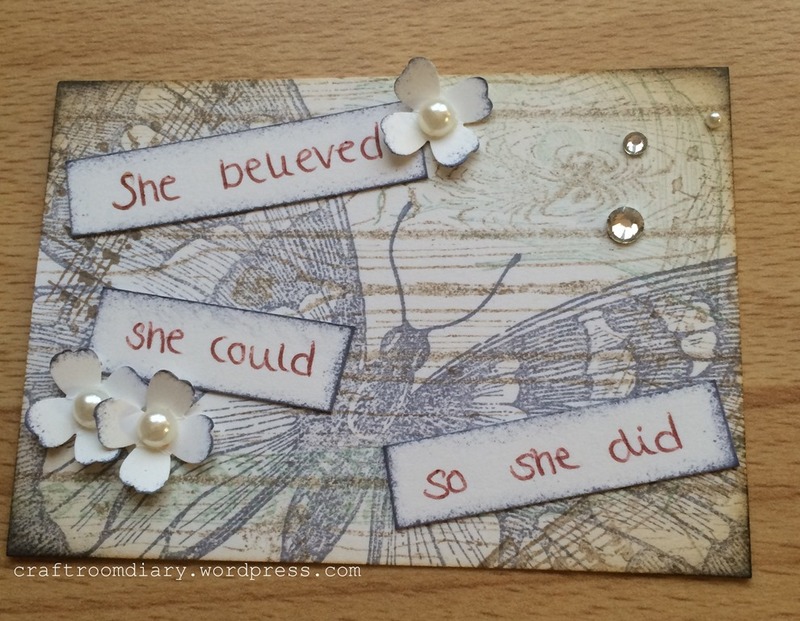 Today i am sharing with you an ATC that was made for my friend, using the swallowtail stamp from Stampin’ Up! I layered up some back ground stamps before i stamped the butterfly. The quote was written by hand before being added and finished off with a few small flowers and gems and pearls.